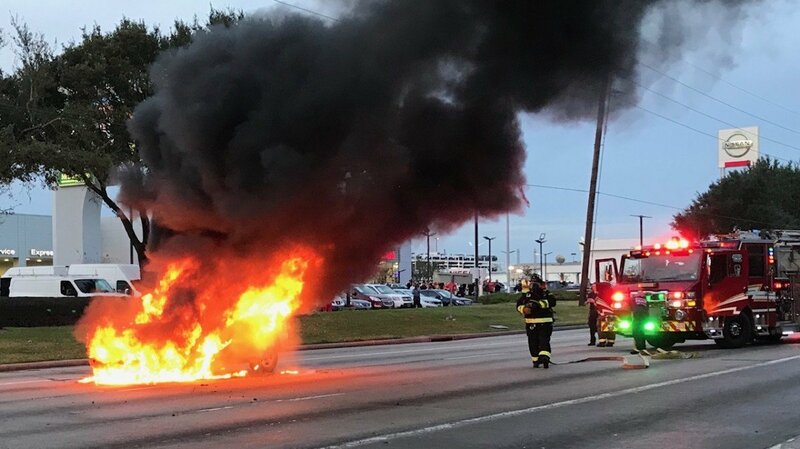 At 17:29hrs, during the height of rush hour, Engine 23 was dispatched to the reported vehicle fire in the 12200 block of the US59 feeder Rd. Upon arrival Engine 23 found a 4-door SUV totally involved and deployed the front bumper Class A hand line for a quick knock down. Following assisting the investigator all units returned to service.